An ad server is a tool at publisher’s disposal making to a) implement their sales strategy and b) reach their advertising & revenue goals. As such it is very important that ad server selection being a long term and strategic decision, proper care need to be taken before finalizing the ad server. The primary ad serving features that need to be considered include a) nice to have features & b) critical requirements.While the former ensures attractive content for the viewers’ happiness the later is having more important as your content will be reaching the right audience in the right format. Some of the best video ad servers include i) Doubleclick for Publishers (DFP) from Google, ii) Atlas Solutions (owned by Facebook), iii) OpenX, iv) Adzerk v) Adtech etc. 1) You can traffic campaigns by uploading your own assets. 2) You can enter in your own tracking pixels. 3) You can able to reach the specified target. 4) The cost is within your budget. 5) The ad server is able to support banner, video, MAID, VPAID etc. 6) The ad server is offering RTB (real-time bidding) and marketplace functionality. 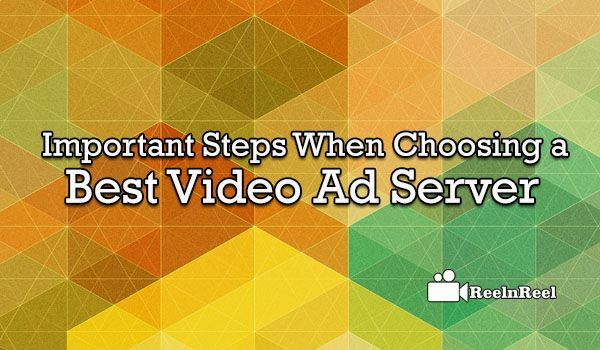 7) The ad server company is large enough to handle your video ad campaign. 8) The ad server company has been able to prove their mettle in the marketplace. 9) The ad server company is having the required reporting capability regarding your video ad campaign. Once you are satisfied ability of the ad server company that it is able to meet your objectives of your video ad campaign, the ‘free trial offer’ for can be used for an initial period. On successful completion of all the formalities as mentioned above, you can finalize the video ad server.